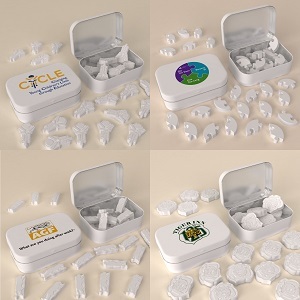 Custom Molded Mints in a traditional tin box! Approximately 20-25 mints (depending on size) packaged in a tin box. The perfect giveaway to leave a lasting impression.